Dental Sleep Medicine is an area of clinical expertise which focuses on the management of sleep related breathing disorders, including snoring, noisy disturbed sleep, sleep apnoea, CPAP intolerance and sleep bruxism (teeth grinding), with the design and fitting of customised oral / dental appliances. An oral appliance is a device worn in the mouth only during sleep. 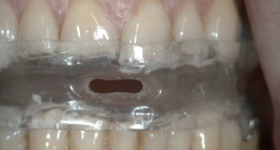 The device fits similar to a sports mouth guard or orthodontic retainer and prevents the airway from collapsing by either supporting the tongue or jaw in a forward position, thereby opening the airway. With a custom fitted oral appliance, we can help minimise or eliminate the symptoms of Sleep Disordered Breathing. Sleep apnoea (in mild to moderate cases) including loud snoring, gasping and unpleasant noises. The device can also act as an alternative treatment for patients (on medical advice only) who have been prescribed CPAP by their medical consultant, finding it difficult to adhere to this therapy for management of their sleep apnoea condition. improves bed partners sleep quality of life. Referral from consultant led medical diagnosis of sleep disordered breathing, noisy loud snoring and suspected sleep apnoea. CBT referral or medical advice for sleep disorder management. Dietician and weight management referral if indicated. If you are referred to the Beacon Dental Sleep Medicine Clinic by a medical consultant, we will then assess your suitability for Oral Appliance Therapy. This will involve a dental examination, an x-ray and a trial oral appliance, if indicated. If you have not been seen by a doctor, we will refer you to the appropriate medical consultant before further assessment. In the Treatment phase, you will be fitted with an oral appliance by an experienced restorative dentist with expertise in the field of dental sleep medicine, who will control and monitor your progress and response to treatment. All patients of the Beacon Dental Sleep Medicine Clinic are seen one week and one month following initial appliance delivery. You will also be provided with clear instructions as to the best use and care of your oral appliance. All patients with sleep apnoea diagnosis are referred back at this stage to their medical consultant for evaluation. The oral appliance is re-evaluated at the Beacon Dental Clinic at specified internals to evaluate its mechanical integrity and performance. Dentists have pioneered the use of oral appliance therapy for the treatment of sleep apnoea and sleep related breathing disorders. An oral appliance is a device worn in the mouth only during sleep. 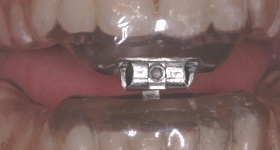 The device fits like a sports mouth guard or orthodontic retainer and prevents the airway from collapsing by either holding the tongue or supporting the jaw in a forward position. With an oral appliance, dentists can minimise or eliminate the symptoms of sleep apnoea in mild to moderate cases. Dentists with training in oral appliance therapy work closely with sleep physicians in the diagnosis, treatment and ongoing care for sleep related breathing disorders. The Irish Sleep Society, the American Academy of Dental Sleep Medicine and the American Academy of Sleep Medicine recommend that a physician must diagnose sleep disorders including sleep apnoea. Sleep physicians at sleep laboratories use an overnight sleep study to detect and diagnose sleep apnoea. Once a patient is diagnosed with sleep apnoea or a sleep related breathing disorder, dentists may provide treatment. Dentists assist patients in the selection and fitting of an oral appliance and provide long-term follow-up care. It is important that an appropriate medical diagnosis is made by the relevant sleep physician to investigate the significance of snoring or sleep related disorders. As director of the Beacon Dental Group Dr Edward G Owens is a hospital affiliated Prosthodontist. He has been working successfully with oral appliances to treat snoring and obstructive sleep apnoea since 1997. He collaborates with major hospital sleep disorder clinics and has been active in the management of oral sleep appliances and the development of Dental Sleep Medicine in Ireland. Dr Ed Owens is one of a very small number of dentists qualified with recognised expertise in assessing and treating patients with Sleep Disordered breathing in Ireland. He is certified by the American Board of Dental Sleep Medicine as having undergone specialist education and qualification to best manage patients with a range of Sleep Disordered Breathing presentations and guide them into their optimal sleep, with the use of an individualised oral device. 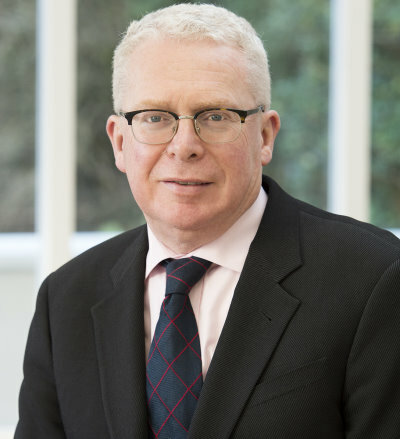 Dr Owens works with physicians and surgeons in the recognised leading centres of established expertise in Sleep Medicine in Ireland, including St Vincent’s University Hospital, The Mater University Hospital, Beaumont Hospital, St James Hospital, The Beacon Hospital and the Hermitage Clinic, amongst many other hospitals around the country. He has been working with a wide range of patients presenting with a range of Sleep Disordered Breathing presentations successfully for over 20 years. Many patients have been successfully treated by oral appliance therapy and enjoyed the benefits of enhanced sleep, which in turn results in a measurable improvement in sleep quality through Sleep Studies and their overall general health. Good quality sleep is responsible for a variety of measurable patient benefits including mood, enhanced daytime energy, the control and enhancement of cardiac and respiratory health, amongst many other health benefits. All these benefits are measurable and have been shown to increase overall general health in many studies and published papers. Spousal or sleeping partner disturbance and anxiety is often a factor in someone presenting for assistance in the management of Sleep Disordered Breathing. Patients making respiratory noise at night, snoring and/or appearing to gasp for air on occasion during the night as observed by a partner, is often the trigger to seeking help. We encourage patient partners to attend as this often helps through a more detailed understanding, to reduce anxiety, which may sometimes be experienced around Sleep Disordered Breathing conditions. Sleep Bruxism is a movement disorder characterised by clenching and grinding of the jaws and teeth while sleeping. Typical signs of this condition are exaggerated tooth wear, fractures of teeth and dental restorations, fillings, crowns, bridges etc. Excessive sleep bruxing can also lead to damage to the gum or periodontal tissues, which support the tooth leading to gum recession and looseness or tooth mobility. Typical symptoms can be significant TMJ, or jaw joint discomfort, tooth sensitivity and headache which may result from persistent sleep bruxing movements. There are a number of documented risk factors associated with Sleep Bruxism such as anxiety, psychological stress, obstructive sleep apnoea syndrome, snoring, daytime sleepiness, and alcohol and caffeine consumption. Certain prescription drugs including serotonin uptake inhibitors such as Lexapro, Prozac, and Seroxit along with psychiatric disorders and neurological conditions have been associated with this condition. 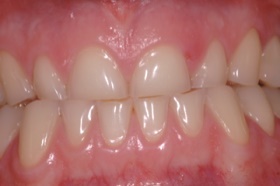 Sleep Bruxism may also have a hereditary component. Sensation of fatigue, tightness or soreness of your jaw on awakening? Feeling that your teeth are clenched or that your mouth is sore on awakening? Aching of your temples upon awakening? Difficulty opening your mouth wide upon awakening? Feeling tension in your jaw joint upon awakening and feeling as if you have to move your lower jaw to release it? Hearing or feeling a “click” in your jaw joint upon awakening that disappears afterwards? Positive responses indicate potential sleep bruxing risks. Comprehensive Investigation and diagnosis of causes, effects and potential management approaches to deal with the signs and symptoms posed by excessive Sleep Bruxism. 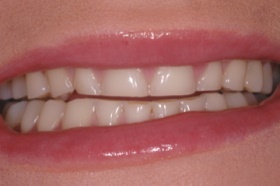 Restorative Dentistry interventions and treatments for teeth or dental restorations damaged by Sleep Bruxing. Prosthodontic Reconstructions and or replacement of significantly worn or damaged or missing teeth resulting from the effects severe Sleep Bruxism. Complex diagnostics and treatment planning are required to ensure predictable outcomes with a specialist prosthodontist. Bite Adjustment Periodontal (Gum) Considerations Selective Adjustment of teeth and evaluation of damage to the periodontal support for the teeth may form part of any treatment intervention. Facial Pain, Medical and Stress Management Referrals For complex medical treatment requirements, we have an established network of dental and medical specialists with whom we collaborate, to provide optimal care for you. We will orgainise the appropriate referrals to deal with non-dental aspects of Sleep Bruxism as part of an integrated treatment approach.